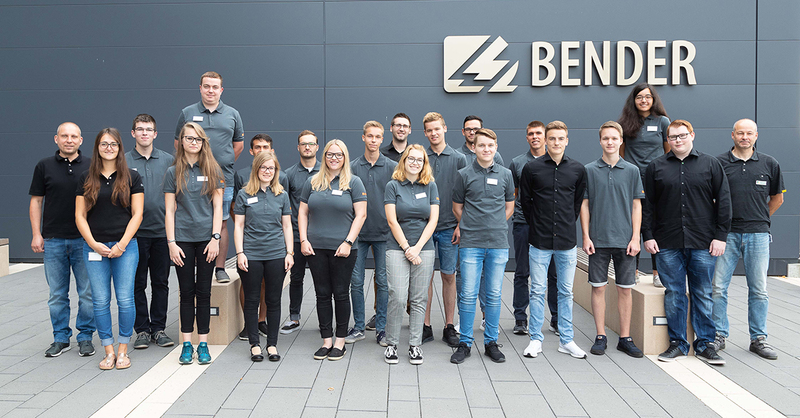 Certainly well trained - Bender has strengthened its team with eleven new trainees, three Bachelor students and four one-year interns in Grünberg this year! Eleven trainees, three Bachelor students and four one-year interns started in Grünberg this year. The newcomers were welcomed by the management and the training managers with a welcome event on their first workday. A balanced supporting programme with lots of information about the company and the opportunity to get to know each other formed the basis of the half-day event. In the afternoon, the future industrial clerks, electronics technicians, IT specialists as well as engineers and SME managers started in the relevant specialist departments with many new impressions and lots of information. In addition, Bender has taken on two further trainees and one-year intern at its branch office in Siersleben/Saxony-Anhalt. We wish our new colleagues a successful start and are looking forward to a good cooperation!